In the latest funding round, three of the highly endowed Advanced Investigator Grants awarded by the European Research Council (ERC) have gone to LMU faculty members. Proposals written by Professor Christopher Balme of the Faculty of History and the Arts and by Professors Martin Reincke und Christian Weber of the Faculty of Medicine were among the submissions selected for funding in the latest round of grants awarded by the ERC. Strikingly, Christian Weber has been in this happy position before. This is the second ERC grant he has received since the inception of the program. Advanced Investigator Grants are worth up to 2.5 (and in exceptional cases as much as 3.5) million euros over 5 years. 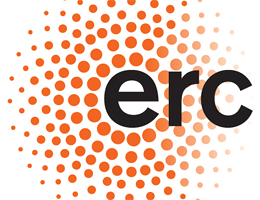 ERC Advanced Grants are awarded to established investigators in all disciplines for highly innovative projects that promise to transcend the current boundaries of their respective fields, and open up new areas of scientific endeavor. Over the years, the European Research Council has awarded a total of 60 grants to researchers at LMU. Indeed, LMU has won more ERC grants than any other university in Germany.